The Chamber is proud to join with DCH Wappingers Falls Toyota and MidHudson Regional Hospital to support the American Heart Association during American Heart Month. February marks American Heart Month, a nationwide initiative to raise awareness in the effort to combat heart disease and educate communities on prevention and treatment options. Heart-related illness is still the leading cause of death in the United States, with one in every three deaths resulting from heart disease or stroke. Often associated with men, heart disease kills more women than men each year and sixty-four percent of women who die suddenly of coronary heart disease have no previous symptoms. The American Heart Association is the nation’s oldest and largest voluntary organization dedicated to fighting heart disease and stroke. For more than 90 years, they have teamed with millions of volunteers to fund innovative research, fight for stronger public health policies, conduct local health and education programs, and provide lifesaving tools and information to prevent and treat these diseases. To learn more, visit heart.org or call (845) 867-5368. For more than 90 years, the American Heart Association has been working to save and improve lives from heart disease and stroke, with scientific research at the core of their efforts. 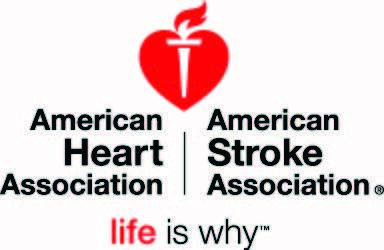 The American Heart Association | American Stroke Association currently supports 114 research scientists in New York State (including NYC and Long Island) with awards totaling $29.9 Million in value. These grants and fellowships help speed discovery, interpretation, and delivery of new knowledge to advance cardiovascular health. Thanks to continued generous sponsors and individual donations, the American Heart Association can make an even bigger impact on the health of Americans! The American Heart Association and American College of Cardiology released new high blood pressure guidelines. Check your blood pressure to make sure you’re in the healthy range! Learn more HERE.